Her classmates call her a bore because unlike her friends who spend most of their free time with their heads in their cell phone, Ruby likes to spend her time reading books. She would often try to convince her friends that while going through their Facebook timeline can be fun - that fun only lasts for the “now” while the knowledge from a good book can last a lifetime. Due to it's material properties - all soft vinyl is prone to scratches but they are hardly visible on our Milk or Tea skin tones - for Cocoa however, they can stand out a lot. For this reason, we include 1 Melamine sponge with Ruby incase you scratch her body with your fingernail or whatever. Take the sponge and brush *lightly* on the surface to remove the scratch. If you scratch her face by accident, brush LIGHTLY with the sponge to remove it (sorry had to use caps because I MEANT IT!) or you will remove the makeup too. Some of the sponge will leave white powder on the skin surface - just wipe it away. Scratches will either disappear completely or become not noticeable unless you are staring at it with a microscope. 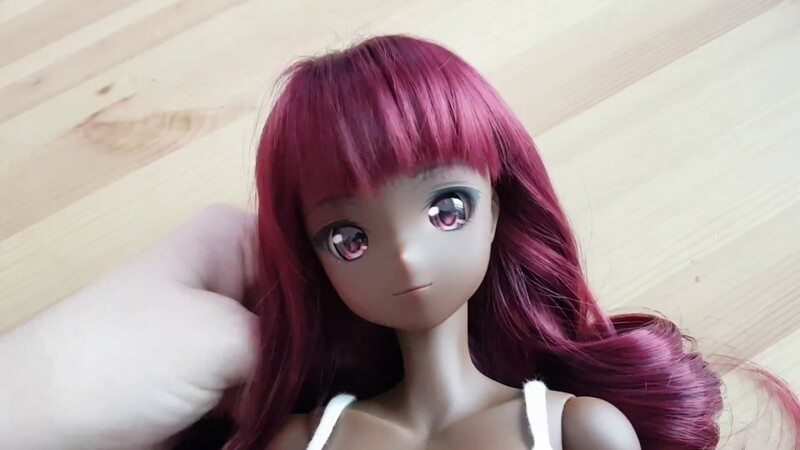 Also, the properties of soft vinyl encompass blemishes through the slush casting process which are more noticeable in the Cocoa skin tone - if this is not cool for you then do not buy this product. Dust shows up more clearly on Cocoa so make sure to check Ruby's face for dust before taking photos. You may need to turn up the exposure slightly when taking photos of Ruby due to her dark complexion.